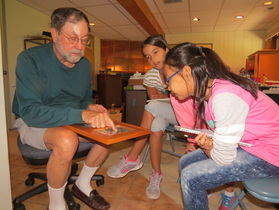 Get to know local Woodridge resident and adult fan of legos (AFOL), Robert Weiss, as captured by 5th graders Sofia and Taylor. 25 years ago, Robert went to Brick Con with his son. As he walked through the convention center, he realized that you could make a lot of amazing things out of LEGOS. This was when he began to build with LEGOS, but in 2010 he began to construct with LEGOS seriously. 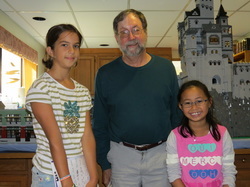 Robert Weiss’s favorite things to make out of LEGOS are castles. He makes the castles from his own imagination, and he makes it up as he goes. Each year he entered one of his castles into Brick Con, but last year was special. Robert entered his biggest LEGO castle and creation of all time. That castle won 2 awards, one for best architecture and one for best castle at Brick Con 2014! 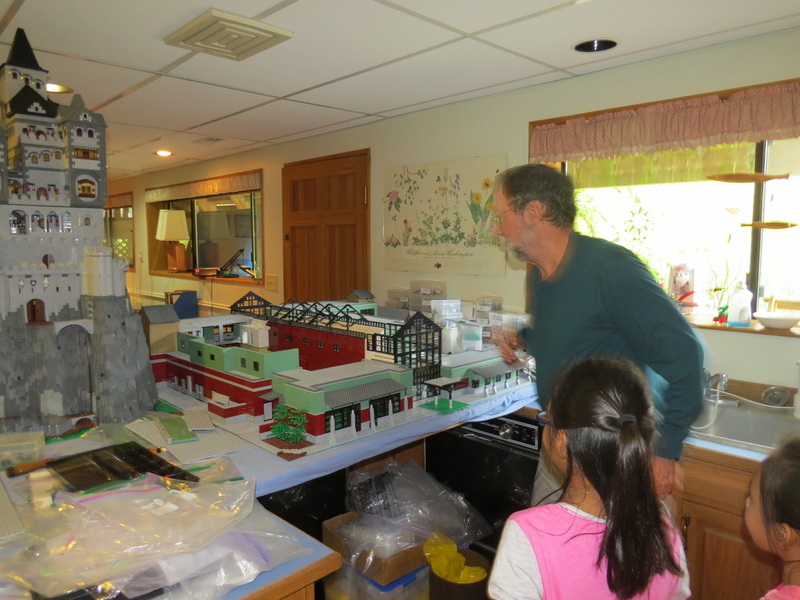 Mr. Weiss kindly offered to build a replica of our own school. He started in December 2014 and completed the project in January 2015. The Woodridge replica has roughly 8,000 LEGO pieces in different sizes and shapes! Mr. Robert Weiss is going to give his replica of our awesome school to the Woodridge PTSA, and maybe even you will donate a LEGO mini-figure to our school replica! Mr. Weiss will be entering the Woodridge Elementary lego replica into the BrickCon competition in October. The competition is open to the public and we would like to encourage everyone to make an appearance to support our Woodridge resident. The Woodridge Elementary lego replica is part of the 2015/2016 PTSA membership drive and will be assembled in sections that represent our PTSA membership. As soon as we meet our membership goal, the school will be complete. The lego replica will be displayed at the school in a location to be determined.